Striding Edge from its first crest, High Spying How. The path along the top of the ridge varies in width but for the much part is easily passable. 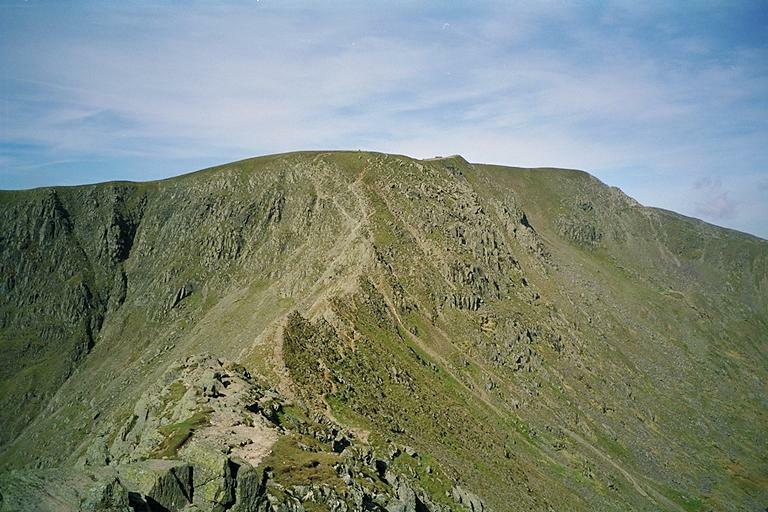 The easy route can be seen on the right of the main ridge to the point where it crosses over to the left. Smaller version of this picture.